Use your creativity to make your reception special. If your wedding budget is getting low or if you simply don’t want to spend a fortune, here are some ideas to hold down the cost of your reception and create some heirlooms to hand down to your children and grandchildren. You can create these beautiful champagne glasses for the bride and groom or the wedding party by purchasing some inexpensive stemware, some gold paper doilies, and mod podge. 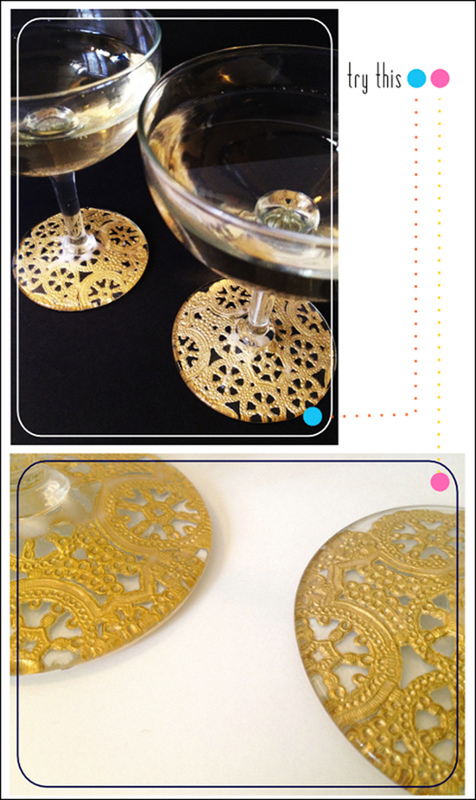 Cut your doilies the size of the bottom of your stemware and apply the mod podge to the doily. The gold will show through and look very expensive. Add satin bows and you have a cherished keepsake. You can also use your Mom or Grandmother’s wedding gown to make a table runner embroidered with your initials, hearts and/or flowers using your wedding colors. You could adorn it with the lace from the gown. Just think how good you would feel knowing that you have used your creativity and your Mom or Grandmother’s gown to not only make your table special but to have heirloom items to hand down to your children and grandchildren to make their wedding special. What Happens When Your Favorite Bag Wears Out?